Pi day? Not in the civilized world that is. 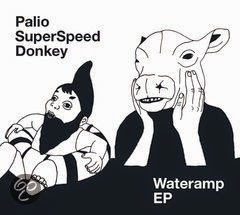 14 03 was the day that I got to see Palio Superspeed Donkey live or the first time and became a fan, period. Although all members are younger than my own son, this is a rock band to keep a keen eye out on. Of course the band was lauded on this blog before for its debut EP and debut album, only recently. The proof is in watching the band live as well. From the very first song it was totally clear that things were going to be alright. Like in some of the topics in the band´s songs, you can see the band members are kids and behave as such in a mix of being in awe of where they are at this point in time on stage, a few moments of uncertainty and doubt in response to what is going on in front of them and youthful brazenness that can take on the whole world. When all is said and done there was a band on stage that has the songs, can play them real well, but above all can add another level that makes the songs even better. Great three piece harmonies and the stops and starts that show this band can count flawlessly. Exactly these elements give an exciting edge to their music and lifts it to higher ground. Coming from Amsterdam and play Rotterdam tends to some anxiety or so it seems. Who cares? because music isn't football. An Amsterdam band can triumph in 010 and god knows where the audience comes from? That is the fun thing about bands (and a Dutch national team). They are there for everybody to enjoy. 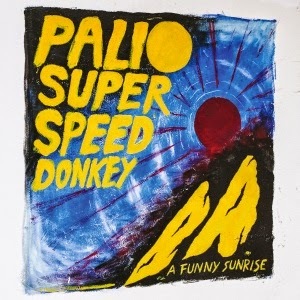 Palio Superspeed Donkey managed to weave their favorite bands into its mix in indie, punky garage rock. From The Kinks harmonies right up to Arctic Monkeys, including the accent, it all came by. Super tight and exciting. The good thing being that they turn it all into something their own. Singer Sam Vermeulen acts/is extremely cool in his leather jacket. Guitarist Willem Smit and drummer Camiel Muiser lay down the perfect harmonies and bass player Ruben van Weegberg doesnt sing so isn't 'tied to a mike and can jump around, pumping up the music and atmosphere. Together there is a band presence and as such they are much further than Taymir e.g. Looking at the age of the band, frighteningly young from my perspective, I can only wonder what is next. As far as I'm concerned this is a band to watch. So good at this age simply means that it can only grow from now on. A funny sunrise is only out for just under two months. I can hardly wait to find out what will be next.